“It will be very difficult to inspire anyone else if you can’t find the inspiration you need first – for yourself.” says Andy Bird. The renowned leadership coach’s new book The Inspired Leader just hit the shelves, so we've teamed up with him to launch his book in Asia. The book is based on extensive new research, conducted in association with Henley Business School, into the real life experience of leaders from many different walks of life. The Inspired Leader reveals how each of us can discover personal inspiration and experience it more intensely and frequently as our lives unfold. 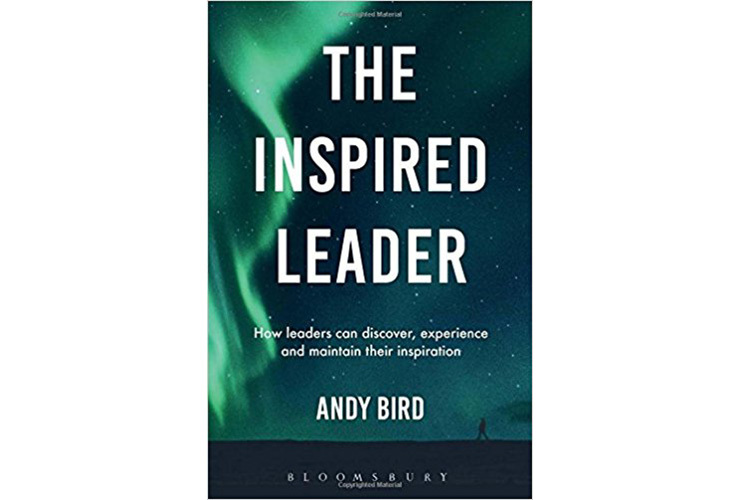 So, ahead of ‘The Inspired Leader Asia book Launch’ we caught up with Andy to talk about marketing leadership, his own leadership experience and how you can be a braver leader yourself. In my view, if you’re not being bold, you’re not really being a marketer and you’re certainly not being a leader. Marketing leaders take on the responsibility for driving change that improves people’s lives. They inspire their colleagues to do the same by championing the interests and values of customers. And they find ways to build brands that deliver outstanding commercial results, both now and in the longer term. These things are not easily done. They require courage, passion and determination. That’s why you have to be bold if you’re going to be a true marketing leader. How can marketers be braver? I believe the secret lies in choosing to lead for things that we really care about and have a passion for. This helps create the spiritual and emotional fuel that drives us on to think big, to take risks and to maximise the impact we have in the world and on the people around us. It’s very difficult to be brave if you don’t fundamentally believe in what you’re doing. So the first step to becoming bolder is to get more in touch with our deepest values, beliefs and motivations and then use these to shape our leadership agenda. How did you discover your own passion for leadership? Our passions evolve as our lives unfold. I started my career as a marketer with Unilever because I was fascinated by trying to understand and respond to what motivates people as consumers. As my experience grew, I became increasingly intrigued by the secrets behind great marketing. I set up Unilever’s Marketing Academy to discover and share these secrets across the business, which took me into the world of learning and capability development. After I had left Unilever to set up Brand Learning, I found my passion to support people’s development began to shift from the technical area of marketing to the more human area of leadership. At its heart, I now realise that my life has been driven, in one way or another, by a desire to understand people’s motivations and to help them learn, grow and fulfil their potential. Ultimately, I think that’s the reason why I was driven to write my new book on leadership inspiration. Given that I’m going to be sitting alongside Claire Chiang at our forthcoming event, I probably ought to say Claire! Indeed, she was wonderful and helped give me tremendous insight into so many of the fundamental issues involved in leadership inspiration. But I have to say I’ve found most of the leaders I’ve met very inspiring, all in their own unique ways. What is the key message you want attendees to take away from the event? If you are to flourish and succeed as a leader, it is vital that you discover and maintain your personal inspiration. It will be very difficult to inspire anyone else if you can’t find the inspiration you need first - for yourself. The exciting fact is that there are some simple steps we can all take to feel more inspired, more of the time. You just need to read my book to find out how! Unable to attend the event? The Marketing Society has a book club and Andy Bird's book is part of it, get in touch with us if you'd like to review it.